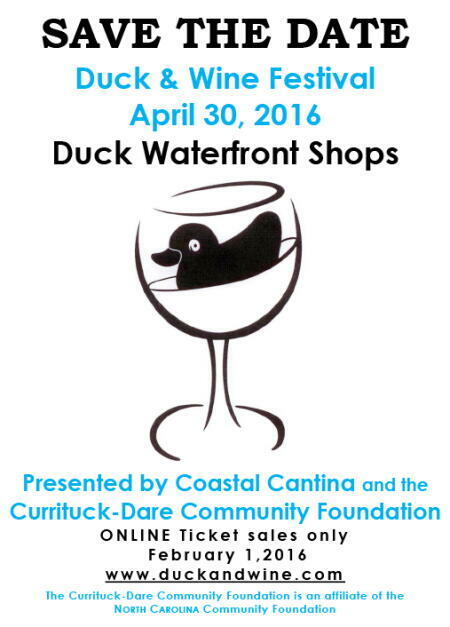 Tickets for the Currituck-Dare Community Foundation's upcoming 8th Annual Duck and Wine Festival are sold out. The festival will take place on Saturday, April 30, 2016 at The Waterfront Shops in Duck, NC. This popular event begins at 12:00 and will conclude with awards at 3:00.